Home » Personal Finance » Students » What Is Student Loan Consolidation And How To Use It Smartly? Simply, student loan consolidation is the process by which one combines multiple student loans into a single big loan.So what is it and how does it work? But anyway, what is student loan consolidation? Does it have any benefit? What’s the difference compared to the usual debt consolidation process? Simply, student loan consolidation is the process by which one combines multiple student loans into a single big loan. This comes with a new lender meaning that you have broken ties with the old lenders. New interest rates, new payment policies, and new terms condition. That is exactly what you need to be prepared for once you consolidate your loans. A direct consolidation loan will allow you to combine multiple federal education loans together. What results after that is a single monthly payment. As opposed to what could have been multiple loans, you will only be having a single loan to take care of. Student loan consolidation has a lot of benefits and in the same case, there are some drawbacks. First of all, before we even go further, you should know that after consolidating your loans, you will get a new loan, with a new interest rate. All your loans will be fixed in a new package. This goes by with a new rate for the life of the loan. Basically what student loan consolidation means is that instead of having multiple creditors at the end of the month, you’ll be having one. It becomes very convenient for you to pay. However, choosing to consolidate your loan will depend on your choice. The right decision will have to come from what loans you had placed for. 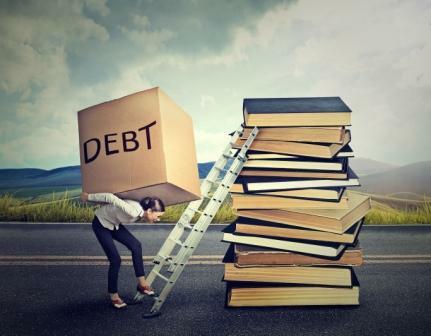 For a student loan borrower, having to manage only one loan can be tough. However, imagine a scenario where you are paying more than one loan, say 5 of them, it becomes even harder. Therefore, consolidation option offers the best solution. This is the point where many people often get wrong. When it comes to federal student loans, consolidating them with the private loans becomes a little tougher. Federal loans can only be combined with the federal loans. Let’s say you combine your student loans. Your new interest rates would be a weighted average interest rate of the loans consolidated. If you are having a federal loan, you can apply for a direct consolidation loan through the US Department of Education. This becomes the best option for the people who have a low weighted average. Or in case you want to simplify your billing into one payment, then this becomes the best option. For direct consolidation loan, there is no credit check that is required. However, it is important saying that there are some benefits the original loans may be having that you may loose. For example, interest rate discounts and such. Just as we have mentioned before, your new interest rates will be a product of the weighted average of your previous loans. This helps you to streamline your payments and becomes possible for you to extend your payments term. This could go up to 30years. However, this will too dependent on what you are consolidating. If you are having a private loan, you can only consolidate them with the private loans. One main plus of consolidating your private loans is that this could potentially lower your interest rates. Typically, there are no application fees for consolidating private loans. You will have to qualify for the loan with a credit evaluation. This will, however, depend on your credit. You could be eligible for a better rate than the one you had for the loans you are consolidating (See how to get your credit score for free). This is much similar to the student’s private loans. This is where you apply for a new loan in order to pay off the other loans. For a success in student loan refinancing, you will have to work with a with a lender that can refinance private and non-private loans. For most of the refinancing companies out there, they can consolidate both the federal and the private loans. Well, 70+% of the people will consider this is a valid option. 20% of most of the people will go for other option. Nonetheless, why should you consider having to consolidate your loans? Well, first, it makes loan repayments quite easier. Let’s get deeper into the reason why you need to consolidate your loans, then after that, the decision is yours. Having to pay up the loan under the standard program can be tough. With the student loan consolidation, it is possible that you extend your repayment period for over 20 years. Taking out a direct consolidation plan will help you extend the repayment length and also you can get smaller payments. Usually, for a typical loan, the benefit of you extending the loan is that you will be lowering your monthly payments. This, in turn, makes your loan more flexible and manageable to pay back. Remember: A downside to that is that it makes your cost accumulation add up significantly. This is because, in a real sense, you will be paying more in interest. This is another suitable and valid reason why you need to consolidate your loans. For instance, let’s assume you are consolidating other loans aside from the direct loans. This means that your chances of qualifying for an income-driven repayment loans shoot up by 90%. Under the plan, the government will extend your repayment plans. If it was 10 years, that would be extended to 15-20 years. In the same, you will find that the government will cap your payment at a percentage of your income. A downside to that is that you may be paying more in interest. This will, however, be at the expense of your new repayment terms. However, instead of looking at it from that angle, income-driven repayments will help you keep up with your payments on a small salary. The good thing with loan consolidation is that you will have a fixed rate (similarly to fixed rate mortgage). If for instance, you have a federal loan, there may be variable interest rates. There could be market fluctuations along the way. 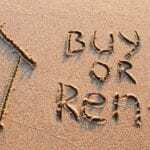 The interest and the monthly payments can change according to the market conditions. What if this is not what you had signed up for? You can change that to a fixed interest rate only by consolidation. A downside to that is that you may be having a higher interest rate. However, for the duration of the loan, that will remain unchanged. Can you benefit from loan consolidation? The nerdy answer is yes! Basically, this forms the best idea if you have an assortment of loans. All these loans must add up to $10,000 and say you are having trouble trying to keep them. However, there are some things that you need to understand about loan consolidation that most people ignore. If you think that consolidating your loans is a chance to save some bucks, then you are so WRONG! It doesn’t make the debts less expensive. Just because there is a chance of you lowering your interest rates, that doesn’t guarantee you of lower loans. If you are thinking of consolidating your loans now, your new interest rates will be calculated as an average weight of all the loans you have. If you are having two kinds of loans, one $10,000 and the other $5,000 at 4% and 6% respectively, you new consolidated loan will have $15,000 and a 4.7% interest rate. One downside to this effect is that you lower your chances of paying higher interest loans first. An important tactic that most financial planners use. Look at loan consolidation from this angle, with the single loan, you could pay a lot less for the assigned period of time. When you consolidate, you pay for a longer period of time but at a lesser interest rate. The result is that you end up paying more rather than paying less. This is another downside that most people are blind to. 95% of the people who consolidate loans never see this coming. Open your eyes here. Loan consolidation gives you a chance, an exposure to more repayment options. that’s right. However, do you know it could limit them too? This in most cases is the first step borrowers have to take to enroll in some government flexible repayment plans. These for most are restricted to borrowers with the direct loans. Special attention, however, should be given to the Parent Plus Loans. These should not be consolidated since they carry a special restriction. They are usually not eligible for several types of income-driven repayments. ← What Is Term Life Insurance And How It Works?